Beware, Serpentis! 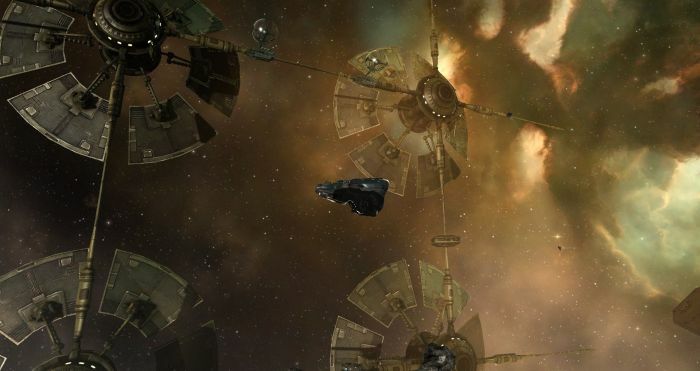 #EVEOnline #Tweetfleet – Nomadic Gamers, eh! As much as I enjoy scanning sites in Eve Online, I rarely give it the patience it requires, and have fallen behind in my ‘skills’ for probing (har har). I take a lot of pleasure in finding sites of my own to explore, so last night I decided to do a revision on how scanning works, and I took my Helios out for a spin. It’s always hit or miss when it comes to scanning, some times you’ll find things, and some times you won’t. That’s where the patience comes in. It also takes a lot of time to narrow down the search, but there are some pretty awesome tutorials and videos on how to do this. I didn’t travel far from home (because I was expecting to need another ship or two depending on what I found) and in my first session I narrowed down a Serpentis Den. I flew back to my ‘home base’, switched out the Helios for the Dominix, and headed back. It was a bit messy because I was still getting back into the swing of things, but I didn’t do too badly, and before long all of the bad guys were dead. I spent a bit of time salvaging the wreckage (I could have switched out for my salvager, but didn’t bother) and then switched back to the Helios. My second run resulted in a radar site, I took my codebreaker (I have my Helios fit for radar sites as well as probing) and opened up the containers with glee – no NPC to defeat here. Inside I was rewarded with an item that boosts manufacturing stats, and is worth a few million ISK. YAY! Continuing on (I was actually looking for mining sites) I found a Serpentis Lookout, so I once again switched out from the Helios to the Dominix, and proceeded through the acceleration gates. This time things went much easier – except that I completely forgot that when I removed the inventory from the Dominix on my last combat round, I also removed all of my ammo. Before I could pass through the second acceleration gate I had to head back to home and pick some up. Not being able to attack anything was proving to be difficult, especially since my drones were the ones getting aggro and it was going to be expensive to replace them all. I scooped them up, flew home, grabbed ammo, and back out to the site where I finished up killing the NPCs. I didn’t get the bonus spawn, but that’s alright. I still got a lot of bounty for killing and I also came back with a lot of salvage material. All in all it was an incredibly productive night. Before I went out probing I also put in some production runs for invention and manufacturing, turned my PI runs on, did a few mining missions for faction, and picked up some datacores that my R&D agents have been holding for me. Now, all of this may not sound exciting to the dedicated long term EVE player, it just sounds like yet another night – but for me, it was incredibly exciting. It was my first time actually scanning down a site and then defeating it on my own. Hopefully tonight I have better luck with mining sites though, as that’s what I’m really after. I did also find a few wurmhole entrances, and I may check them out in the future, I do love wurmhole exploration, it’s just not something I typically want to do all by myself without a corp to back me up. Probing is one of the best solo parts to the game, a time when you can get away from the crowd and just explore.